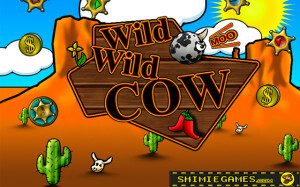 “Wild Wild Cow” is a fun arcade game. 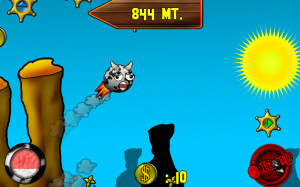 Your aim is to make the wild cow run as far as possible. Click to jump using your milk, try to skip skulls and red stars that will make you slow down and take flowers and stars to power up! 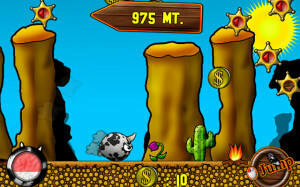 Achieve medals, collect gold coins and use them in the Wild West Shop to boost your run!